There are several options for health care for expats in Costa Rica. First there is the CAJA which is required for all legal residents to pay into. The CAJA as it is called, is basically Costa Rica’s National Health Care plan and it’s pretty good and covers all your health care needs. However the CAJA usually requires getting up very early and waiting in a room with dozens of sick people for up to 4 hours, and you don’t get a choice of doctors. And if you end up needing a specialist or an expensive procedure (for example having skin cancer taken off your face) it can take 6 months or a year or more to get an appointment. I will write another blog post about my CAJA experience and opinions. 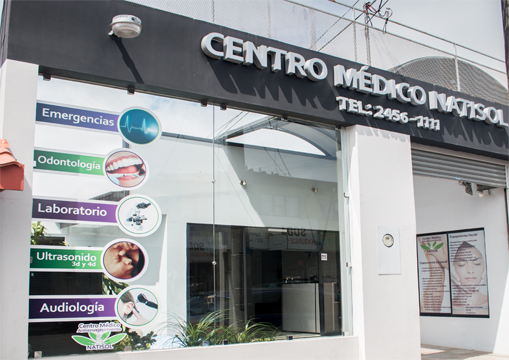 Another option is private international health insurance which is said to be very good and allows you to go to the best private doctors and hospitals in Costa Rica such as those at Clinica Biblica or CIMA near San Jose. However, it is quite costly. The last time I checked it was around $300 a month for a single older expat. I will not write about this because I really don’t know much about it, it’s “above my pay grade”, as they say. So this post is about an option of health care for expats in Costa Rica that I just became aware of and I want to share it here even though I have not yet signed up. I want my readers to know that this option exists here in San Ramon and I imagine similar plans exist in other areas of Costa Rica. *Check with the Affordable Health Care plan yourself, as I am not an expert but that’s what I was told. NOTE: This is the info I have as of 08-22-17 and this is of course subject to change so call or write the clinic at the link below to get the latest info and ask specific questions. I am not a representative of this plan so all I know is what I was told last week. 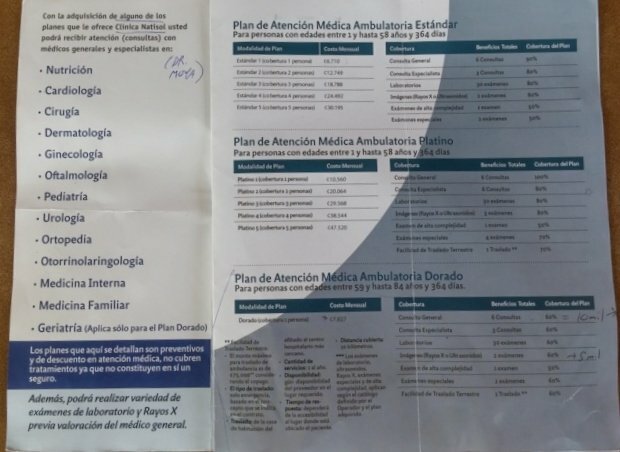 Several people I have talked to who’ve lived here in Costa Rica for years and know the costs of office visits and lab tests and so on, have told me they think this looks like a very good deal as a health care plan for expats in Costa Rica. I am almost surely going to sign up and use it at times when I really don’t want to use CAJA. If I need to see a skin specialist to consider removing some bumps on my skin, I am pretty sure it would involve a trip to the CAJA doctor at 7am, a long wait there with sick people, then a wait of months to see a dermatologist, then a trip to the hospital for another wait for taking lab tests if necessary, then another wait for getting the results, and so on. OR I could go to this clinic through the plan, see my GP, get the referral to the dermatologist and perhaps get the operation the same day at a discount OR have him refer me to the CAJA for the surgery which would be free. This is much more streamlined and much less of a bother than dealing with several early morning waits at CAJA and running around from here to there over a period of perhaps months. In fact I know someone who went to a private dermatologist at one of these clinics and had it done at the cost of $400 rather than go through the waiting at CAJA. With this plan I imagine she could have saved a considerable amount of money, though not yet sure if surgery of any kind is offered at a discount. One of the advantages of a plan like this one is that they do work with CAJA so if they prescribe medication they can refer you back to CAJA to get the medication free or cheap, or they can refer you to a doctor in the local hospital for surgery and maybe even a surgeon they know is good as opposed to someone you don’t know is good. If you have tried a plan like this one will you please leave a comment or review below with as many details as possible? That will help others decide if a plan like this one is for them. Let me add here that I have no vested interest in promoting this plan and again, I have not yet tried it. For further information on this particular plan here in San Ramon you can go to this web site: Clinica Natisol. This plan is not listed there as far as I can see, but there is further contact info there and other information. All in all this looks like an excellent plan for health care for expats in Costa Rica, for relatively little money. Just the kind of info you need prior to thinking of a move to C.R. I’m a health insurance broker/producer in the U.S. and my wife and I are moving to CR in October. In the name of “less is more,” this is an excellent article/posting! Very informative. Thank you! I’d love to hear from others who have experience with the transitional experience re health insurance, and their words of wisdom. Hi Roger, I think those who are not eligible for Obamacare or Medicare will need some kind of catastrophic health care policy. There are some available online (one is https://www.weadirect.com/get-quote-prod/ , though I’m not necessarily recommending it – to me it’s too expensive but that depends on your monthly income of course). If one can afford it an international insurance policy is worth having in my opinion. If one can’t afford it (I cannot) then the thing to do is eat according to the best guidelines, take good care of one’s health and hope for the best. I have not needed a doctor in years so I think with just the discount plan mentioned I will be okay. If not there is CAJA or Medicare Plan A which every US Citizen over 65 years gets automatically, as far as I know.